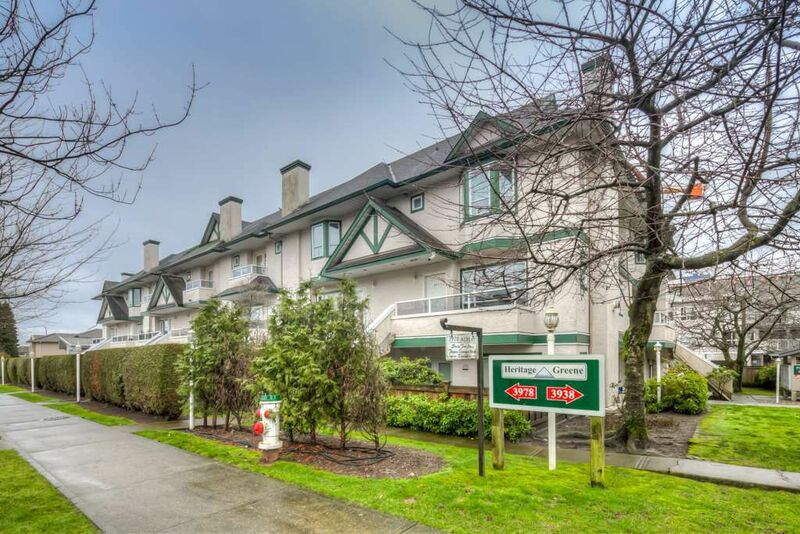 Great value and very affordable for this bright and beautiful south facing townhouse in Burnaby Heights! This two level suite features a spacious living area on the main level with a cozy gas fireplace and both bedrooms upstairs. There is a south facing balcony on each level and two entrances for convenient access! Tastefully renovated throughout including the kitchen cabinetry, granite counter tops, appliances, both bathrooms, tile flooring downstairs and laminate flooring upstairs. Bonus of two parking and a storage locker! Centrally located and only steps from coffee shops, restaurants, shopping, groceries and transit.